Tai Chi is well known for helping to reverse the aging process. Since the main focus of many Tai Chi school around the world focus on health and wellness. The Fighting techniques are vanishing and this writer feels that they need to be preserved. While you can start gaining benefits from practicing Tai Chi right away, it could very well be years before you could use it in a combative sense and that is assuming the person teaching you is trained in combat. What has been lost seems to be the fighting applications of Tai Chi, I believe a lot of that has to do with the fact that it really can take years to become proficient enough to apply them in actual combat. But Tai Chi isn’t called the Grand Ultimate Fist for nothing. Hidden beneath the layers of form and energy lies a effective fighting art. I started my training in Wing Chun and have always felt that it is great fighting art in it’s own right. 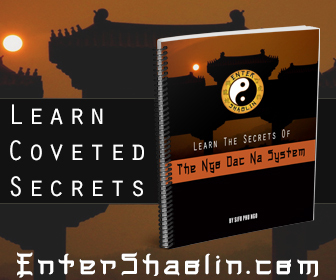 However once I started diving into Tai Chi Chuan, I started to realize that Wing Chun barely scratches the surface when it comes to energy control. As you can see from this video, that the techniques are choreographed and may not exactly work like that in real life. However it gives you an idea of what is possible using this art for self defense purposes. Generally speaking, if you are looking for a place to train and want to start learning the combat side of the Grand Ultimate Fist, make sure you find a place that focus’s much of their training on push hands. 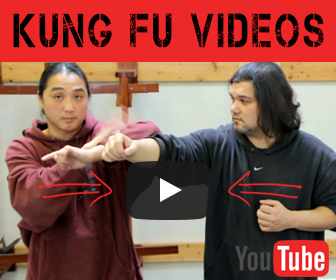 Just like Wing Chun’s (Chi Sao) bridges the gap between sparring and fighting. Tai Chi’s push hands training has a similar effect. Centuries ago maybe the “hidden treasures” would have been the health benefits of tai chi. As it has become popular worldwide as a health regimen, and as you suggest the origins of tai chi as a martial art, (now the hidden treasures), are being forgotten. Nice to meet you and thanks for the comment.